2000 Posts! And how YOU can win some of my books! 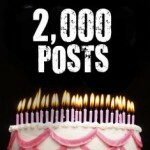 It is almost my birthday, and this coincides with me publishing my 2000th blog post! To celebrate, I am giving YOU presents. I have 65 books to give away! Visit my blog to learn how to enter. Dying to Religion and Empire was released this week. I gave away over 2000 copies for free, and also put the book on sale at Amazon. It sold pretty well and made three best-seller lists. The book is still on sale, but only for a couple more days. Go get your copy now! Dying to Religion and Empire is going to ruffle some feathers as I not only challenge the practices of baptism and communion (die to your rites), but also raise questions about the legal rights of Christians to the freedom of speech, to bear arms, and to various other rights guaranteed by the First Amendment and the Bill of Rights. You can get a free copy of this book by signing up for my email newsletter before Monday, January 12, 2015. My next book is available on Amazon… but don’t buy it yet! I suppose if you really want to go buy this book now, I won’t stop you, but I am going to do something special with this book in January… Stay tuned! Of course, if you want a free digital copy of the book, I will send one out to everyone on my mailing list when I officially release the book in January… so if you are not already subscribed, do so today and tell your friends about it! You are invited to join the Redeeming Press Book Launch Team! You are invited to join the Redeeming Press book launch team, which will allow you to connect with authors and network with other team members. 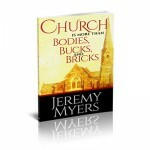 My newest book, Church is More than Bodies, Bucks, and Bricks, is available for free download on Amazon through June 7, 2014. Go get it now! If you want, you can also get a free copy of the paperback edition. I just ask that you pay the printing and shipping costs.